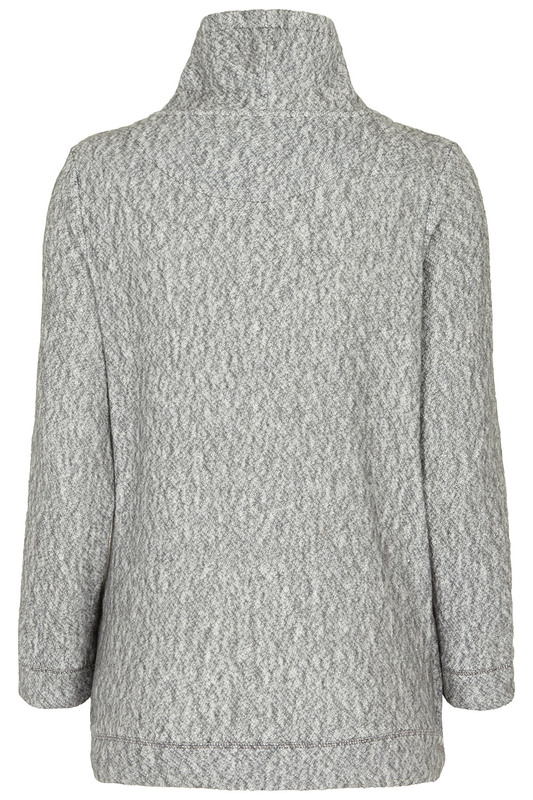 Add some luxury to your relaxation in this textured cowl neck sweatshirt with a curved hem. 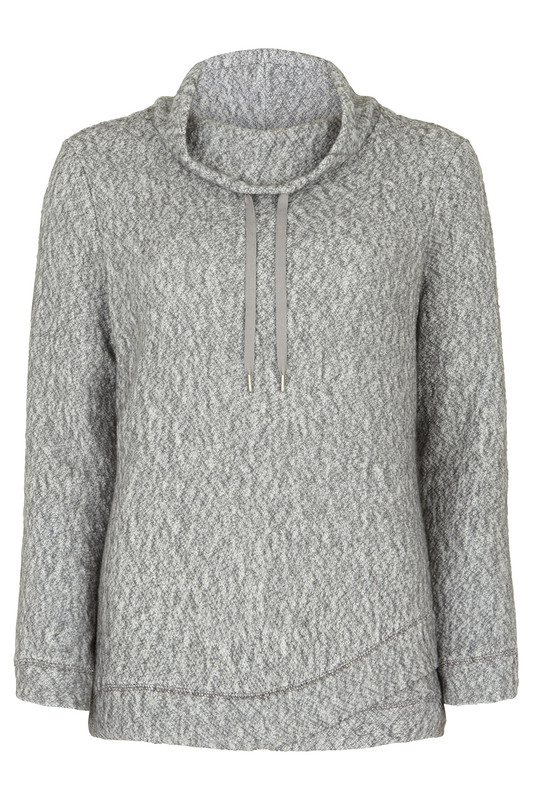 The cosy material and long sleeves keep you warm, and you can customise the cowl neck with a handy drawstring. An asymmetric hem and herringbone tape add the subtle finishing touches. Wear with our matching jog pants, or dress it up with jeans and ankle boots.